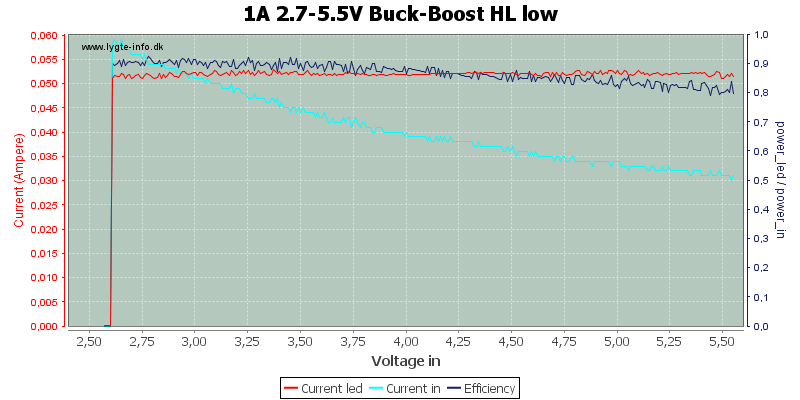 High mode efficiency from 84% to 90% depending on the input voltage. 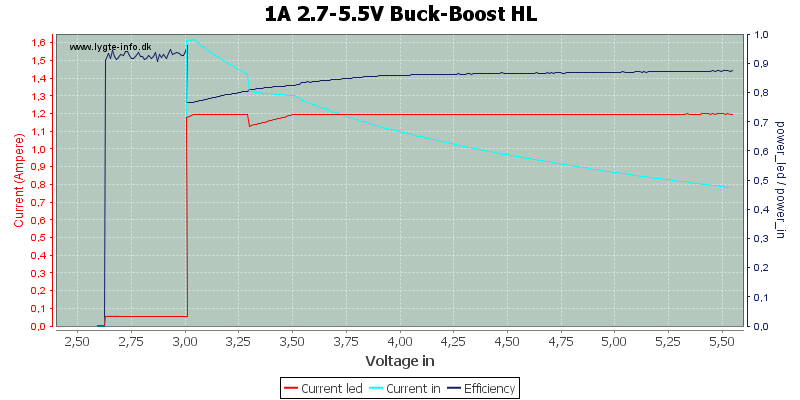 when the light is on (constant light), the output will be changed to 10mA. 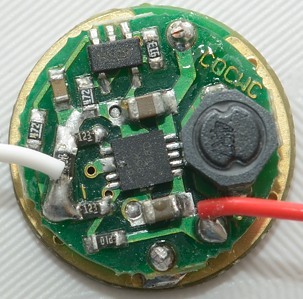 when the light is flashing , the output will be changed to 50mA and keep flashing. Diameter: 16.5 mm and 15mm. 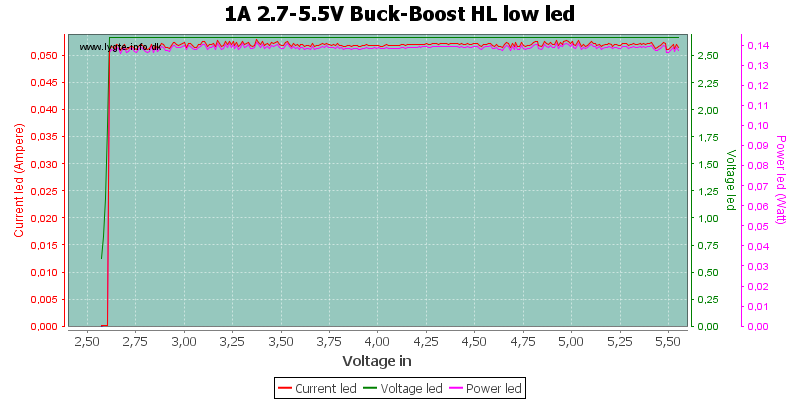 Strobe: 10Hz at 3.7 volt. A very short off/on will select next mode. 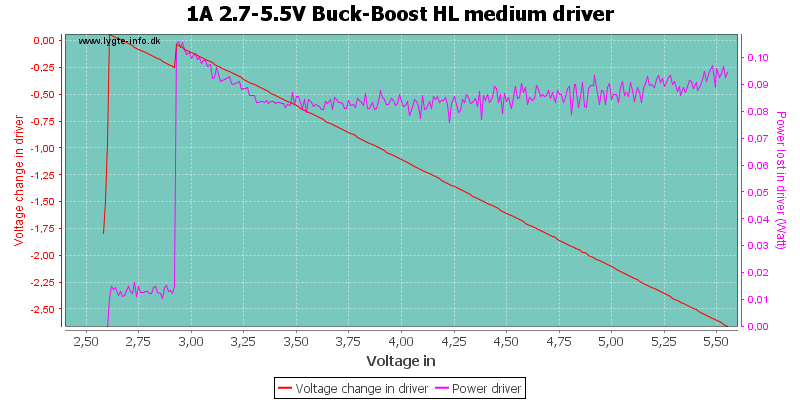 The driver is mainly buck, but can boost a little bit. 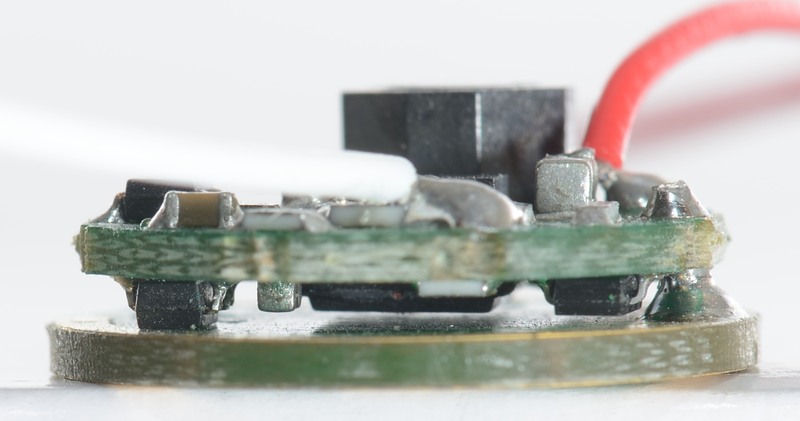 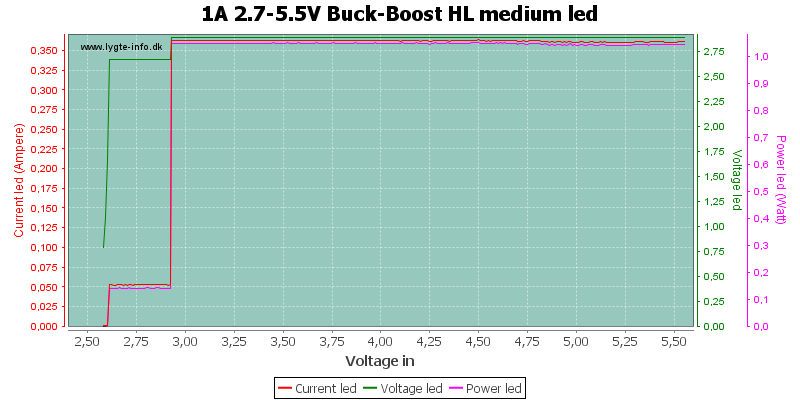 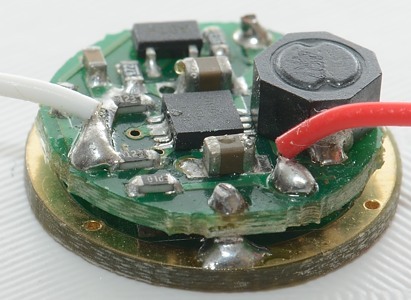 The drop in led current between 3.25 volt and 3.50 volt is probably the change from buck to boost. 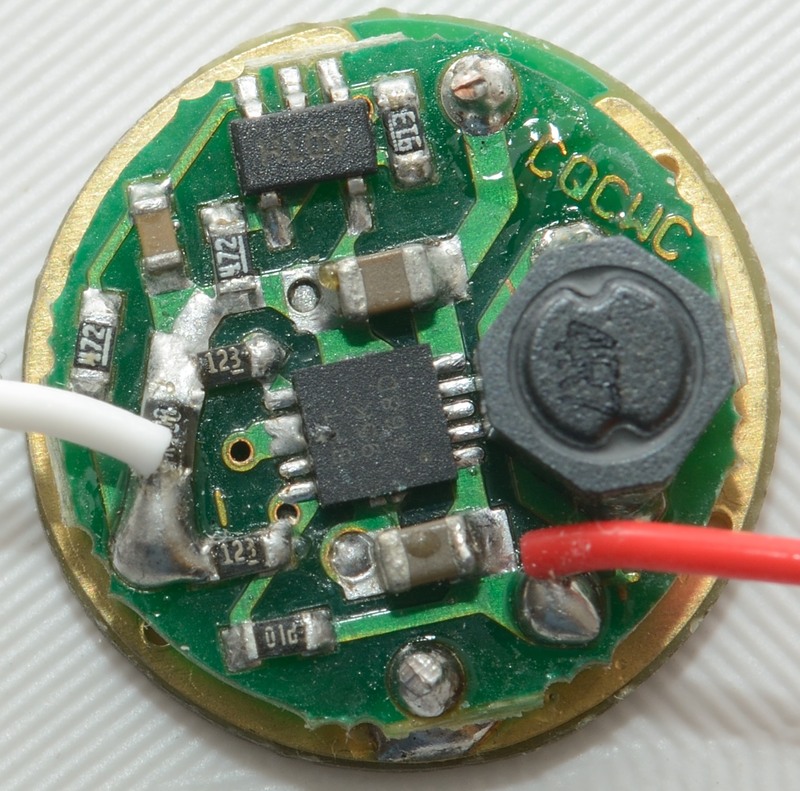 Very good regulation, without any noise. 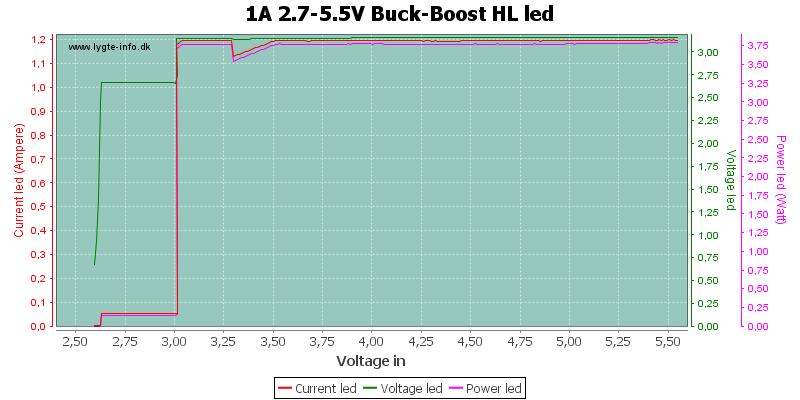 Due to inherited looses in the circuit, the boost need to be activate while the input voltage is above the Vf of the led. 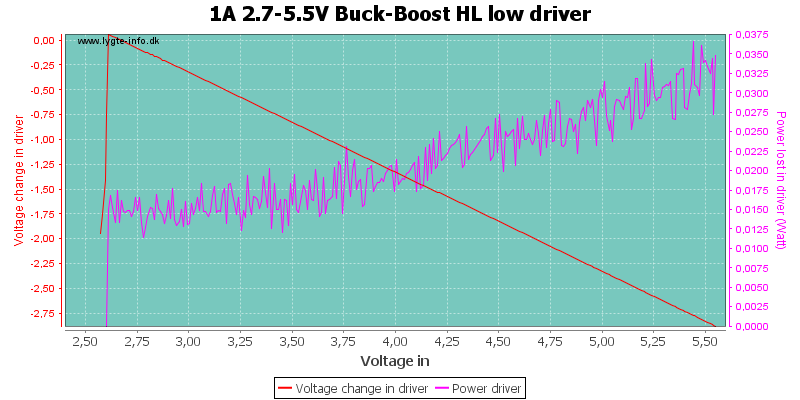 At low the boost is not needed and due to the low current there is some noise in the measurements. 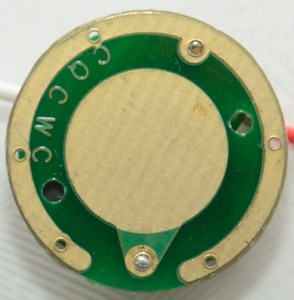 The spacing in the morse code is not correct. 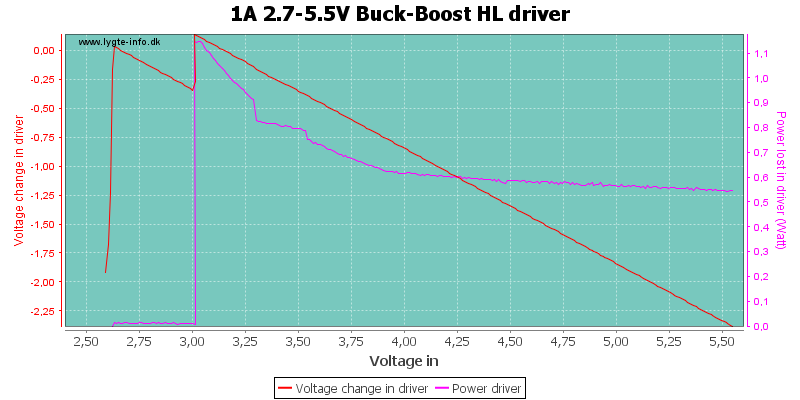 This driver will provide full output from 3.0 volt to 5.5 volt with good efficiency.